Miss Cerovac has been a Consultant Plastic Surgeon at St George’s University Hospital since 2008. Her current practice spans across aesthetic, hand and wrist and reconstructive skin surgery. She prides her practice as one based on vast clinical experience, fine operating, honesty and common sense. By training and working with orthopaedic and plastic surgeons, Sonja developed a unique combination of specialists skills required to tackle abnormalities from the fingertip to the forearm – from simple nerve and tendon irritations to complex hand and wrist trauma or consequences of missed injuries. Sonja’s aesthetic practice remains to be predominantly based on operative rejuvenation of aging tissues of body and face. Working at St George’s Hospital in South West London, one of the largest trauma centres in the country, Sonja is regularly involved in looking after people with life and limb threatening injuries, teaching and training of medical students and junior colleagues. She is involved in the senior NHS and private hospital management. Miss Cerovac graduated from The Medical School at Belgrade University in Serbia. From 1995 she continued postgraduate plastic surgery training in the UK. She completed the South London Plastic Surgery Specialist Rotation working at St George’s, Guy’s and St Thomas’ Hospitals in London and Queen Victoria Hospital in East Grinstead. She undertook a sub-specialist fellowship training in Aesthetic surgery at the McIndoe Surgical Centre in East Grinstead and hand/wrist surgery Fellowships at Wrightington Hospital in Wigan and Windsor Hand Clinic. 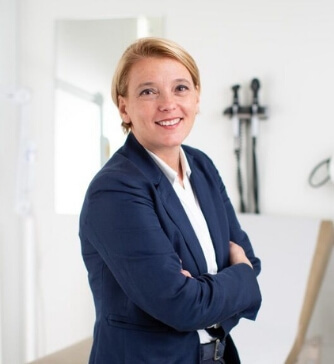 Having completed a postgraduate research Thesis in the field of flexor tendon surgery, Sonja obtained a title of Master in Surgical Science from the University of London in 1999.